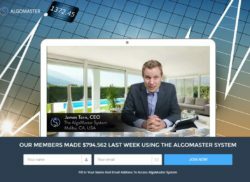 Torn claims to be the CEO of AlgoMaster System, which supposedly is a company and a binary options trading system at the same time. This system is allegedly making thousands of dollars every day to its users. And because money is free in this world, you can get the Algomaster System for free. Torn is really funny, he claims that the Algomaster System is the first algorithm in the world to use technical indicators. Scammers are really dumb, because technical indicators are used by the majority of traders and trading systems, so really nothing new. By the way, the Algomaster System company in reality does not exist and James Torn is a fictitious character played by an actor. Everything you can see in the Algomaster System video is fake. Testimonials were made with paid actors. Bank account statements have been photoshopped. Look at the picture, Torn’s name has obviously been edited, it is not even in line with the following text. An obvious fake. 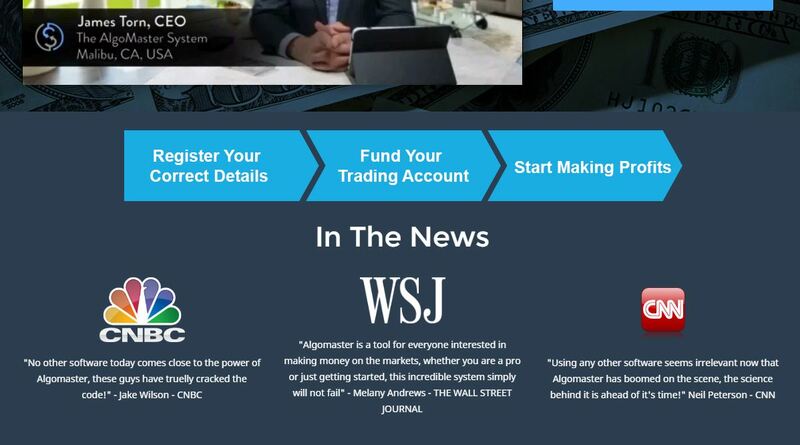 Also CNBC, WSJ and CNN have never mentioned Algomaster, you can verify it by clicking on the links. This proves that the testimonials are totally fake. So what is Algomaster about? It is designed to convince you to deposit money with an unregulated broker, because if you do it, scammers will earn an affiliate commission. So they need you to believe that they can earn you money so that you follow them and deposit with their broker. 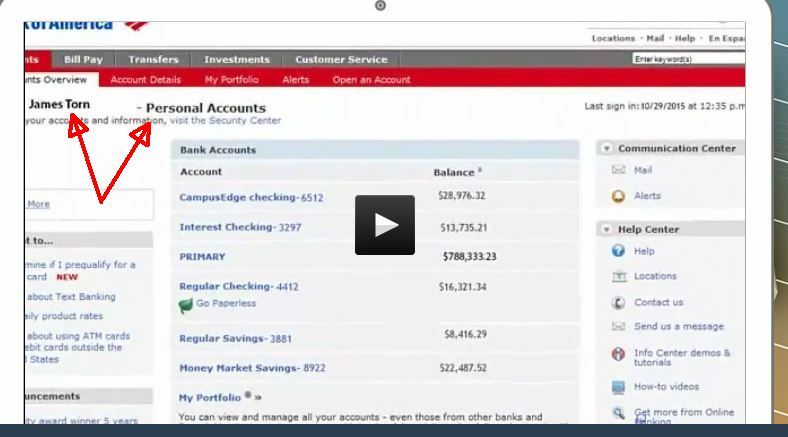 But if you do it and trade your account with their software, you will lose your deposit. AlgoMaster System is a binary options scam that can lose you money, so stay away from it. If you want to see how real money can be made in binary options trading, try a free demo. You can use it to build a real strategy that will achieve real profits. But forget about free trading systems making you money, they don’t exist, you have to learn how to trade yourself.